Throughout ancient history, most of the architectural design and construction was carried out by our artisans, for example, we have stone masons and carpenters, reaching their goal to become a master builder. In most developed countries such as the USA, only a few were qualified with an appropriate license. Most of the architects are responsible for creating a design concept and most of them are using computers or laptops for designing especially when they have to design a building and what is the possible outcome. For them to take that project they need a computer/laptops with great specs. A computer/laptops that can run the software they need. 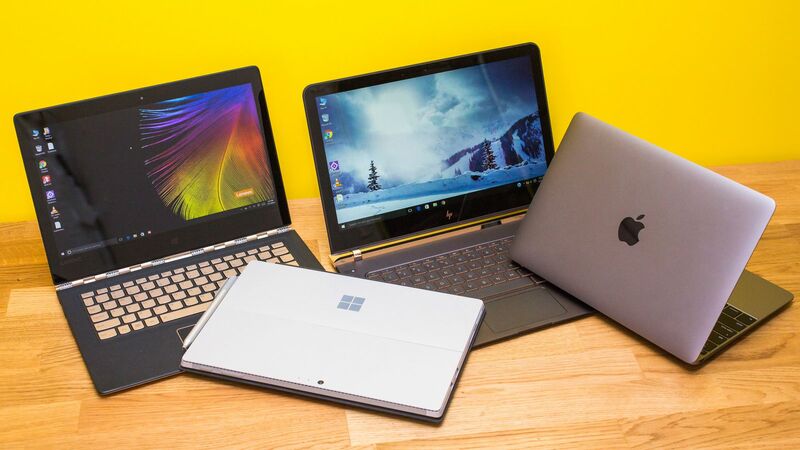 When it comes to laptops here are some recommendation that we listed for your projects. RAM – it must be 8GB DDR4. RAM or Random-Access-Memory will be the storage of your data or application that are currently being used. Storage – 128GB SSD or 1TB HDD (7200 RPM), of course, where would you save your projects, right? Storage is used for storing data or extracting data files and store information permanently or temporary. For RPM specifications it will increase the performance of your Hard Drive. Graphics Card – NVIDIA GeForce MX150, this is a video card also called a display card which generates a feed of output images. Screen Size – 15.6 inches. This will work easily to maintain the finer details. The Lenovo 15.6″ ThinkPad P50 is suited for CAD and design workflows while you are on the road. It comes packed with an Intel Xeon E3-1505M v5 processor, a quad-core processor for providing the fastest output along with a dedicated NVIDIA Quadro M2000M graphics card, which outputs 1920 x 1080 pixel resolution visuals to the 15.6″ IPS screen and has a backlit keyboard that eliminates the limitation of working in the dark. To handle multiple applications at the same time, 16GB of DDR4 RAM is installed. There’s also a 256GB SATA-based SSD that enables to boot up nearly instantaneously and provides a quick access to your data. With a 3 Thunderbolt Type-C port, HDMI port, 4 USB3.0 ports, RJ45, and mini display port. Also, the battery has a long life hours reaching 13.2 hours that will keep you away from charging from time to time. It’s razor thin, feather-light, and even faster and more powerful than before that it makes to a whole new level. It has the brightest, most colorful Mac notebook display ever. And it features the Touch Bar – a Multi-Touch enabled strip of glass built into the keyboard for instant access to the tools you want, right when you want them. This MacBook Pro features a powerful Radeon Pro Discrete GPU with an outstanding power efficiency. With a 4GB GDDR5 memory that is on the top configuration, giving you real-time performance like rendering 3D titles and Designing. This MacBook Pro has more performance into a thin design but still provide a long-lasting battery life up to 10 hours that will keep you editing wherever you are. The new Dell premium notebook with an optimizing performance for both productivity and gaming entertainment. A multi-tasking with 6th Generation Intel i5 Quad-Core processors, both gaming and entertainment are yours. The NVIDIA GeForce GTX 960M Graphics Card with 4GB GDDR5 to discrete memory, it is a way faster than other Dell. This will give you a high framerate/seconds in games or in editing. It will also accelerate video editing and transcoding. This is also more secure and less prone to failure than standard hard drives because of the flash-based memory that you’ll find in USB memory devices that has no moving parts. This SSD’s will pull your data from the drive faster and can outperform 10,000 RPM Hard Disk Drives (HDD’s), you’ll also get faster load times on games and other information that’s stored on your devices. Get a powerhouse performance and amazing graphics with this new Surface Book 2, a portable studio, tablet, and robust laptop in one with up to 17 hours of battery life and 2 times more power than before. Designed for pen and touch with a stunning 13.5″ or 15″ PixelSense display. Surface Book 2, a portable powerhouse. Demanding apps and will tackle the complex task with a battery life that lasts up to 17 hours. It also has a productive keyboard and mouse and you can use the interactive touchscreen. The stunning PixelSense Display that will transform surface Book 2 into a thin yet powerful quad-core Intel Core i7 tablet, a tablet you can take anywhere. Want to sketch or draw? There’s no problem, the surface book 2 can fold into studio mode and sketch in a comfortable and natural position. Also has a pen and touch for a creative experienced. With a detachable screen with a push of a button, it will turn around and reattach to share content and presentation. Perfect for watching or playing games. Interacting with Cortana you can also use voice command. This new mouse will help you flawlessly scrolling and stay in your flow with three customizable thumb buttons, and it has also the ability to control 3 computers at the same time. Designed for exceptional accuracy, control, and comfort. This surface pen has a tilt support for shading, 4,096 levels of pressure sensitivity, and virtually no lag that delivers the most natural writing and drawing experience. With 7th Generation Intel Core i7 quad-core processor combined with a discrete NVIDIA GeForce GTX160 Graphics that has Pascal Architecture ever built inside of a GPU, Experience Unmatched Performance. This GeForce GTX 10 Series you’ll enjoy up to 3x better performance. The latest hardware that will surely give you efficient and powerful performance for productive multitasking. A dual-band 802.11ac Wi-Fi that has 2 antennas that will support 2 data streams. With the 802.11ac band delivering speeds is up to 867Mbps, 6x faster than 1×1 BGN Wi-Fi. Equipped with all the ports you need such as Headphone-out & Audio-in Combo Jack, RJ45 LAN Jack for LAN insert mini Display Port, and 3 USB 3.0. with such ports, you can easily connect your gaming peripherals and an external monitor. Designed for those with a need to speed, the Predator Helios 300 gaming notebook combines powerful 7th -7700HQ Generation Intel Core processor with high-performance NVIDIA GeForce GTX 1060 graphics card driven by the new NVIDIA and it has Pascal architecture and that is VR Ready. Dual-Fan cooling fans and stellar audio capabilities that will support intense gaming sessions while the sporting red accents and black chassis with geometric lines add to the drama. This predator notebook has a control panel that features Predator Sense Game, providing customizing and control of other games features, and yes including the system temperature, CPU fan speed, and system fan speed. These new Aspire E Series laptops provide a comprehensive range of choices for every-day users, with many appealing features and an attractive design aesthetic that exceeds our expectations. Incredible performance, fast 802.11ac wireless with great battery life that makes the Aspire E series shine in any situation. With 8th Generation i5 Processor, this laptop lets you enjoy more power, more battery life that last up to 15 hours and more high-quality entertainment on the go. The latest 802.11ac WiFi will provide a smooth internet connection speeds up to 3 times faster, better than previous generations. Installed with NVIDIA GeForce Mx150 Graphics with 2GB discrete video memory that makes movies and games jump off the screen. Run multiple programs simultaneously, and transition seamlessly between web tabs, you’ll be able to multi-task with ease. Powerful latest generation Intel processor, plus plenty of memory, guarantee fast as lightning responsiveness. Also with anti-glare technology, you’ll enjoy true visual clarity when you watch movies and browse the web. 4GB DDR3L SDRAM memory expandable up to 8GB, 1TB HDD (5400 RPM) Hard Drive. 15.6″ display LED Backlight, HD Anti-Glare Display (1366 x 768) with Intel HD Graphics 500, HD webcam. Gaming Laptop with Intel Core i7-7700HQ quad-core up to 2.8GHz (Turbo to 3.8GHz), GeForce GTX 1050 4GB graphics, 16GB DDR4 RAM, and 1TB Hybrid Hard Disk Drive. This is the combination of control software that lets you customize your gaming style and RGB backlighting. An anti-ghosting technology with n-key rollover ensures that your inputs are track precisely, no matter what or how many keys you pressed. Color-Cycling modes are also available. This product is Certified Refurbished tested and certified to look and work like a new one. The refurbishing process includes functionality testing, basic cleaning, inspection, and repackaging. And that’s all top 10 chosen by experts that suit for your Architectural Design and work. We hope that we help you a lot to decide which laptop is the best for architecture and we wish that you can choose the right one for you. Learn more about the Best Laptop For Architecture 2018 (Top 10 Expert Picked).